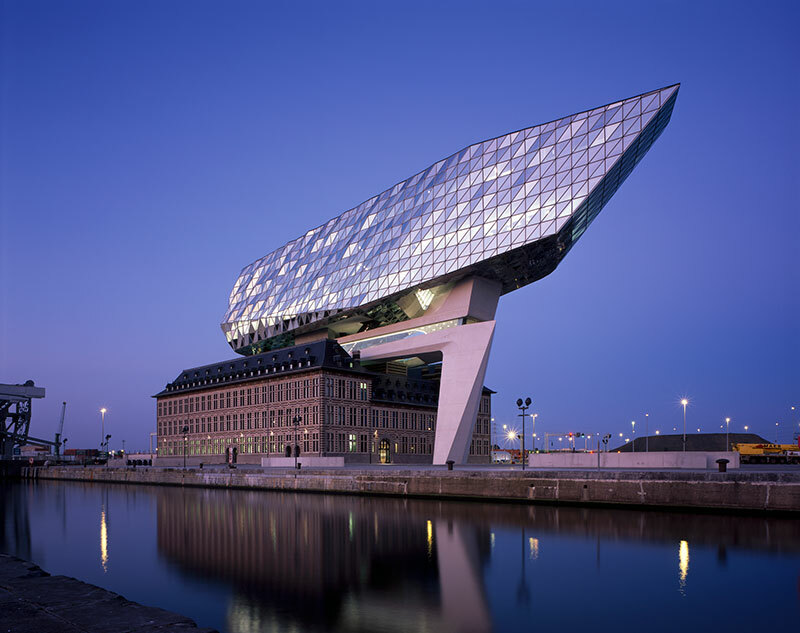 A beam-shaped structure situated above a derelict fire station by Zaha Hadid Architects. 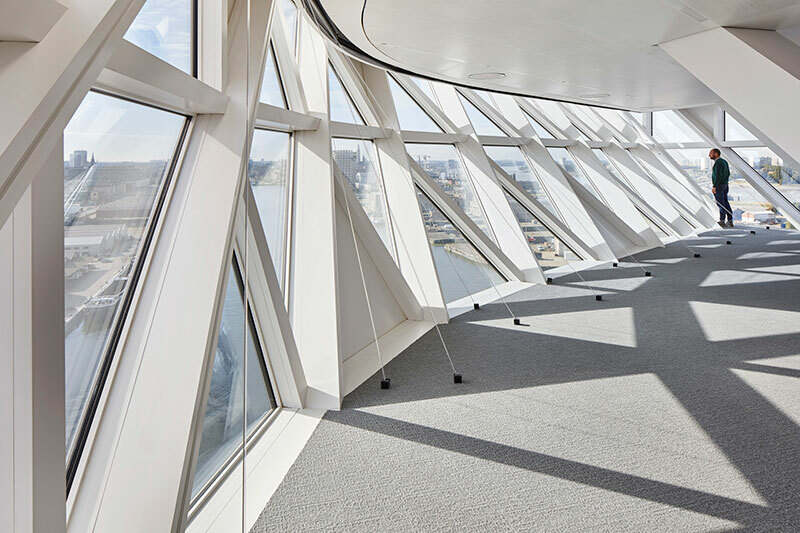 Built as the new headquarters of the Port Authority, the building brings together the port's 500 staff that had previously worked in separate buildings around the city. 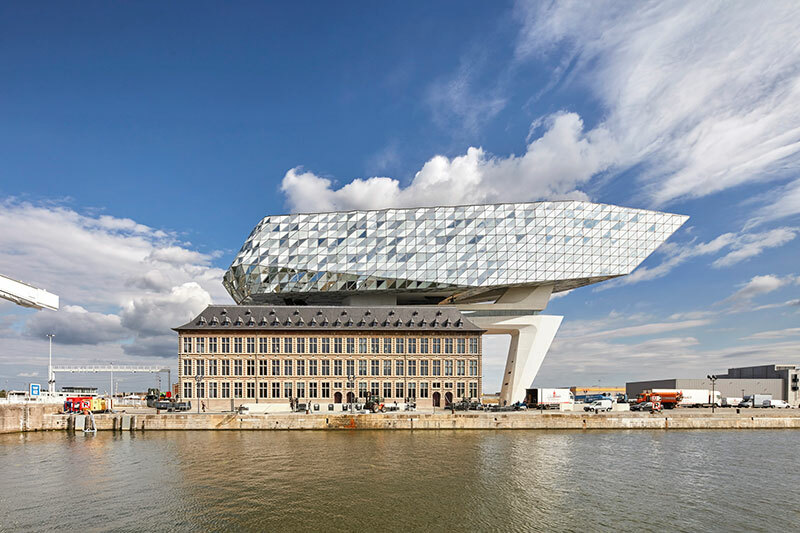 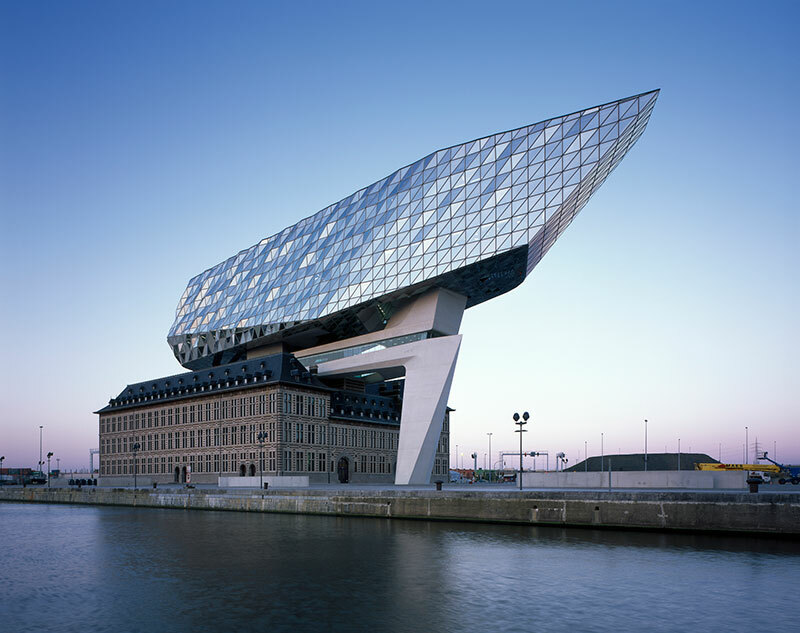 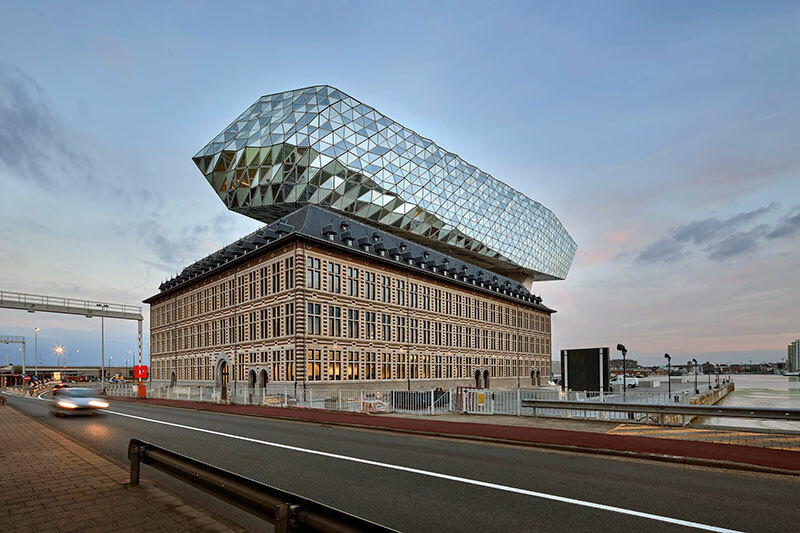 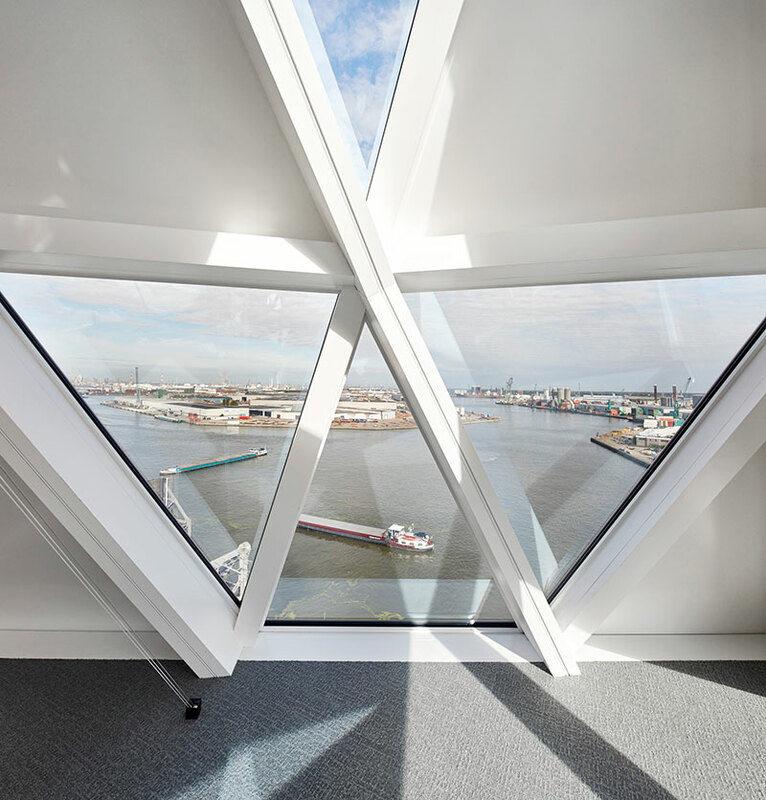 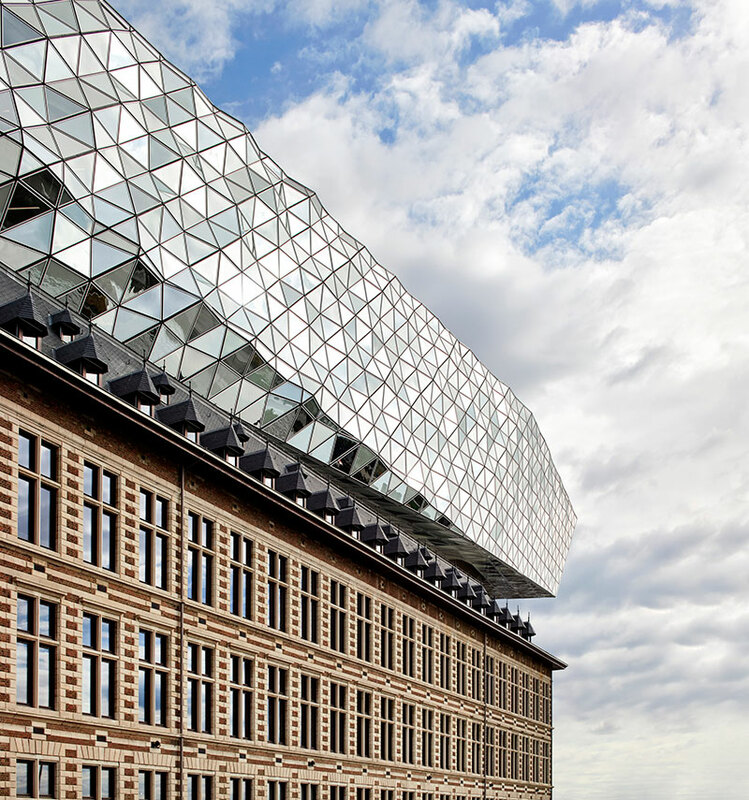 The modern structure combines the old and the new with articulated glass walls—some transparent, others reflective—in reference to the Antwerp diamond trade. 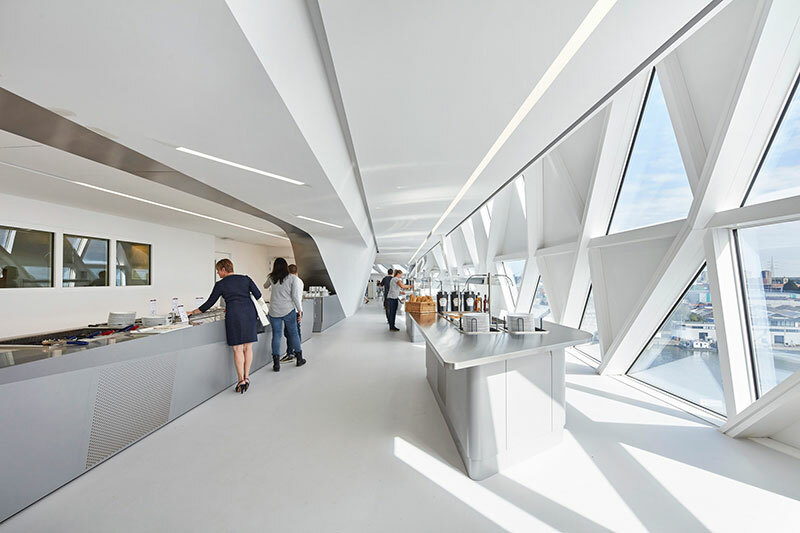 The new facade with triangular facets controls the amount of light entering the building and has a ripple effect that mimics the surrounding waves as well as the changing light conditions. 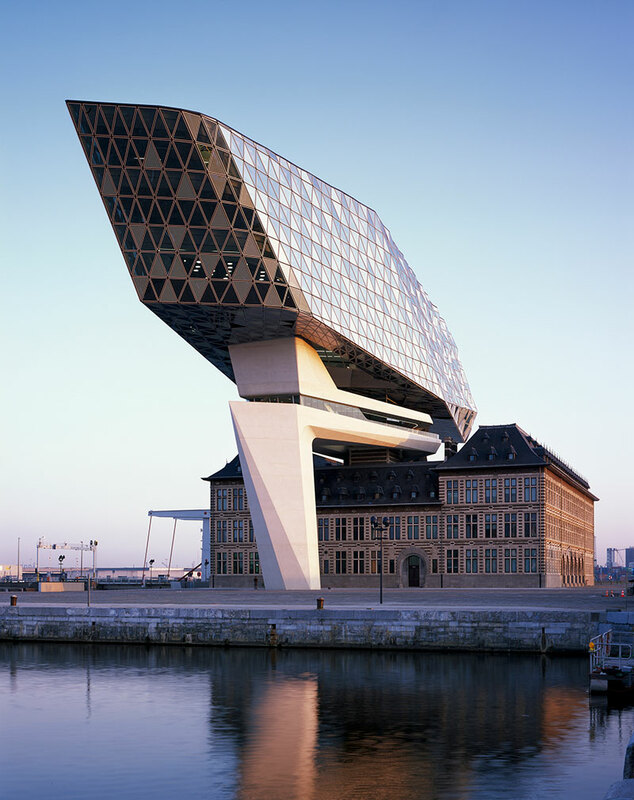 A beam-shaped structure situated above a derelict fire station by Zaha Hadid Architects.